At this point I had some feedback that the body was actually rather human like. Vlad has been fantastic at taking on feedback. Not only at listening to the feedback but acting on it with amazing detail. Considering his english is not the greatest, you certainly wouldn’t think with the work. 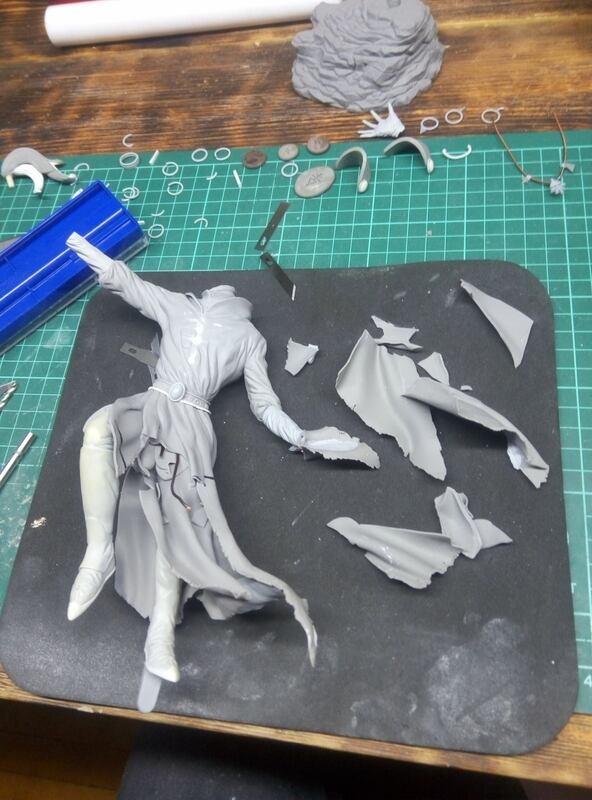 15th of Jan – Rework of the body to bring more in line with eldar. Looking much more slim line and eldar like. 16th of Jan – The sword. Fantastic details and still gives me a bona looking. Seeing these pieces set my heart on fire 😀 They are stunning and Vlad has done an amazing job of listening to the details given and just making the whole thing look amazing. I kind fucked up a little bit on this one by not telling Vlad that this was to be cast… He wasn’t too impressed with this revolation once he’d declared the model finished.